You already know that visiting your doctor regularly is an integral part of maintaining your health. Did you also know that scheduling routine visits and exams can help your primary care doctor diagnose life-changing conditions, like diabetes early? 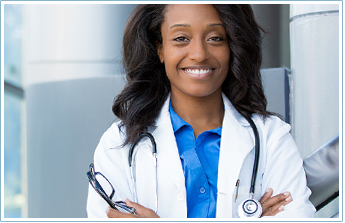 Choose Montgomery Medical Clinic for a diabetes diagnosis and treatment in Gaithersburg, MD. Treatments are also available for bronchitis, pneumonia, high cholesterol, and many other conditions. Put simply, diabetes is a disorder of your metabolism. The disease develops when your body does not produce enough insulin or is unable to use insulin effectively. When this happens, glucose isn’t absorbed into cells. Instead, it builds up in the blood, thus starving your body’s cells of much-needed energy. The buildup of glucose can wreak havoc on your nerves and blood vessels. That’s why, if you suspect you have diabetes, you need you visit a diabetes doctor right away for diabetes testing. Common symptoms include increased urination, increased thirst, and unexplainable weight loss. There are different types of diabetes, but type 1 and type 2 are the most common. Both require proper diabetes care. Type 1 is usually diagnosed in children, teens, and young adults. It occurs when the body’s immune system attacks and destroys the pancreatic beta cells, stopping the production of insulin. Type 2 diabetes is the most common. In fact, about 95% of people with diabetes have type 2. Unlike with type 1, a person can develop type 2 at any age. While it is most associated with old age, it is also linked to excessive weight, family history, certain ethnicities, and physical inactivity. When you are diagnosed with diabetes, you will need regular medical care from a skilled diabetes doctor. That’s where our clinic comes in. Our medical team has extensive experience in diabetes testing and treatment to manage the disease. Testing to determine if you have diabetes is the first step to helping you maintain optimal health. Usually, if your doctor notices that your blood glucose level is high, or if you start showing classic symptoms of high blood glucose, he or she will order a second test to diagnose the disease. A1C—This test measures the average blood glucose in your body for the last two or three months. A normal blood glucose level is 5.6% and under. Numbers between 5.7% and 6.4% are categorized as prediabetes. Numbers between 6.5% and higher are categorized as diabetes. Unlike with other tests, like the FPG test, you will not be required to fast to complete the test. Fasting Plasma Glucose (FPG)—This diabetes testing method tests your blood glucose levels after you have fasted for at least eight hours. A normal level is less than 100 mg/dl. A prediabetes level is 100 mg/dl to 125 mg/dl. Your doctor will diagnose diabetes if the results are higher than 126 mg/dl. Oral Glucose Tolerance Test (OGTT)—During the two-hour test, we evaluate your blood glucose levels after you drink a special, sweet beverage to determine how your body processes the glucose. If your blood glucose levels are 140mg/dl or below, the level is normal. If the levels are 200 mg/dl or greater, your doctor will diagnose you with diabetes. Casual Plasma Glucose Test—This test can be performed at any time of the day if you suffer from severe diabetes-like symptoms. If your blood glucose levels are 200 mg/dl or greater, your diabetes doctor will diagnose diabetes. Just because you are diagnosed with diabetes doesn’t mean that you can’t live normally. With a proper diet, physical activity, and, in some instances, medications, you can manage diabetes properly. Our caring and compassionate diabetes care physician is ready to create a plan specifically for you to help you live a normal life.